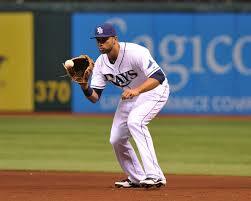 James Loney is perfect for the Tampa Bay Rays. After putting forth a 3 Slash Line of .299/.348/.778 – the Rays GM Andrew Freidman doled out the 1B a new year 3 YRs/$21 MIL to retain his services. It was the highest Free Agent Contract the current regime has forked out to any player. The Wil Myers for James Shields trade, of course coming off of the heels of the Matt Garza for Chris Archer deal, follows the concept. Trade players that are nearing Free Agency, for a player that is Major League ready now, plus Starting Pitching also coming back to the fold. The Rays are a lot like the Oakland Athletics, in that they have done some great transactions without giving up any assets for them. The franchise has many more players that could see MLB action from their top affiliates. Heading into the 2013 year, Jake Odorizzi was listed as the #45 Prospect by Baseball America. With a potential trade pending with David Price, he may have his role increased. 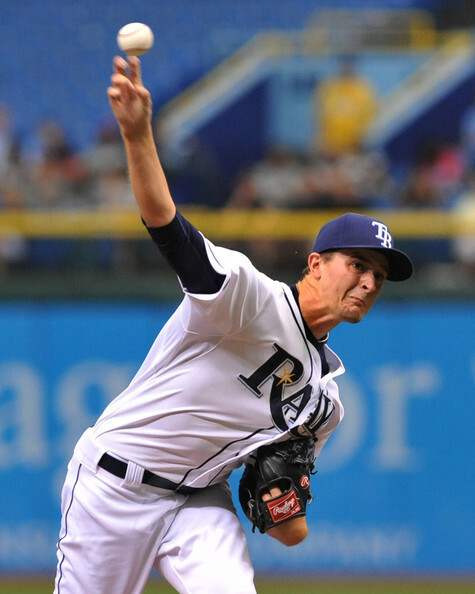 Odorizzi, who will be 24 in March, was brought as part of the Wil Myers trade from Kansas City. 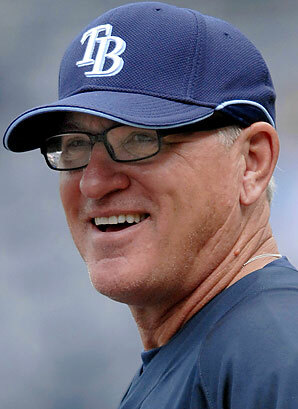 He managed to pitch in 7 games for the Rays in 2013, posting an ERA of 3.94 29.2 IP. Posted on January 14, 2014, in Organization Depth Charts MLB and MiLB Affiliates, The Rest: Everything Baseball and tagged (Carmona) Jeff Niemann, (INT), (MID), (SOU), 2008 world series', 2012 Cy Young Winner, 3b Enny Romero, @prosportsroster on twitter, Adam Liberatore, AL East, Albert Suarez, Alejandro Segovia, alex cobb, Alexander Colome, Alexander Torres, Andrew Bellatti, andrew friedman, Andrew Toles, ben zobrist, Bill Moloney, Billy Gardner, Blake Snell, Bowling Green Hot Rods, Bowling Green Hot Rods PITCHERS, Bowling Hot Rods POSITION PLAYERS, Brad Taylor, Brady Williams, brandon gomes, Brandon Guyer, Brandon Henderson, Brandon Martin, Braulio Lara, Brett Nommensen, Bruedlin Suero, c Drew Vettleson, C.J. Riefenhauser, Cameron Seitzer, Charlie Cononie, Charlie Montoya, Charlotte Stone Crabs (FSL) Joe Hart, Charlotte Stone Crabs PITCHERS, Charlotte Stone Crabs POSITION PLAYERS, chris gimenez, Christopher Archer, Chuck Booth. fastest 30 ballgames, Cody Rogers, Cole Figueroa, com, Cory Wade, Craig Albernaz, curt casali, Curtis Casali, Dan Dement, Dave Martinez, Dave Myers, david price, David Wendt, Derek Shelton, desmond jennings, Drew Vettleson, durham bulls, Durham Bulls PITCHERS, Durham Bulls POSITION PLAYERS, Dylan Floro, Eduar Quinonez, Eliazer Suero, Enny Romero, evan longoria, Felipe Rivero, Felix Fuentes, fernando rodney, Frank De Los Santos, Geoff Rowan, George Hendrick, Granden Goetzman, Grayson Garvin, Greg Rauch, Hak-Ju Lee, Hector Guevara, Hudson Valley Renegades (NYP) Michael Johns, Hudson Valley Renegades PITCHERS, Ian Kendall, J.D. Martin, Jacob Partridge, Jacob Thompson, Jake DePew, Jake Floethe, Jake Hager, jake mcgee, jake odorizzi, james loney, James Patterson, james shields, jamey wright, Jared Sandberg, Jason Bourgeois, Jeff Ames, jeff kleiner, Jeff Malm, Jeffrey Beliveau, jeremy hellickson, Jesse Hahn, Jim Goodmon, Jim Hickey, Jim Paduch, Joe Maddon, Joe Szekely, Joel Caminero Charles Epperson 2013 Baseball America's Top Ten Prospects Chris Archer, joel peralta, Joey Rickard, Jordan Harrison, Jose Lobaton, jose molina, josh lueke, Joshua Sale, Juan Apodaca, Juan Oviedo, Juan Sandoval, Juniel Querecuto, Justin O'Conner, Kansas city, kelly johnson, Kes Carter, Kevin Brandt, Kevin Kiermaier, Kirby Yates, Kris Carlson, Kyeong Kang, kyle farnsworth, Kyle Snyder, Lenny Linsky, Leonardo Reginatto, Leslie Anderson, lhp, lhp Alex Colome, lhp Blake Snell, lhp Desmond Jennings, lhp Drew Vettleson, lhp Hak-Ju Lee, lhp Jake McGee, lhp Josh Sale, lhp Reid Brignac, lhp Tim Beckham, Lucas Bailey, Luke Maile, Luke Scott, Manny Castillo, Marcus Jensen, Mark Thomas, Marla Terranova Vickers, Marquis Fleming, Marty Gantt, Matt Buschmann, matt joyce, Matt Nevarez, Matt Ramsey, Matthew Moore, Matthew Spann, Mayobanex Acosta, Merrill Kelly, Mike Birling, Mike Fontenot, mike montgomery, Milie Mahtook, Montgomery Biscuits, Montgomery Biscuits PITCHERS, Montgomery Biscuits POSITION PLAYERS, Nate Garcia, Neil Allen, Neil Schenk, Nick Sawyer, of 2011 Baseball America's Top Ten Prospects Jeremy Hellickson, of 2012 Baseball America's Top Ten Prospects Matt Moore, of Alex Torres, of Jake McGee, of Jake Thompson, of Jeremy Hellickson, of Mike Mahtook, Ozzie Timmons, Parker Markel, patrick leonard, R.C. Lichtenstein, Reinaldo Lopez, rhp 2010 Baseball America's Top Ten Prospects Desmond Jennings, rhp Alex Colome, rhp Alex Torres, rhp Hak-Ju Lee, rhp Jake McGee, rhp Justin O'Conner, rhp Matt Moore, rhp Richie Shaffer, rhp Taylor Guerrieri, rhp Wade Davis, Riccio Torrez, Rich Thompson, Richard De Los Santos, Richie Shaffer, Rob Finneran, Robby Price, Roberto Gomez, roberto hernandez, Robi Estrada, Romulo Sánchez, Ryan Brett, Ryan Carpenter, Ryan Dunn, Ryan Garton, Ryan Gates, Ryan McChesney, ryan roberts, sam fuld, Sean Bierman, sean rodriguez, Shawn O'Malley, Shay Crawford, shelley duncan, ss Alex Colome, ss Alexander Colome, ss Chris Archer, ss Enny Romero, ss Tim Beckham, ss/2b Derek Dietrich, ss/2b Drew Vettleson, Stan Boroski, Steve Watson, Steven Geltz, stuart sternberg, Tampa Bay Rays PITCHERS, Tampa Bay Rays POSITION PLAYERS, taylor guerrieri, Taylor Motter, Thomas Coyle, tim beckham, Todd Glaesmann, Tom Foley, Trevor Shull, twitter @chuckbooth3024, Ty Morrison, Tyler Goeddel, Victor Mateo, Vincent Belnome, wil myers, Wilking Rodriguez, Will Inman, Willie Argo, www.prosportsrosters, yunel escobar. Bookmark the permalink. Leave a comment.